Managing Partners of Casparian Capital. Please join Family Office Insights for this luncheon on Wednesday, February 14that 12PM. If you care to join us, please email admin@familyofficeinsights.com. 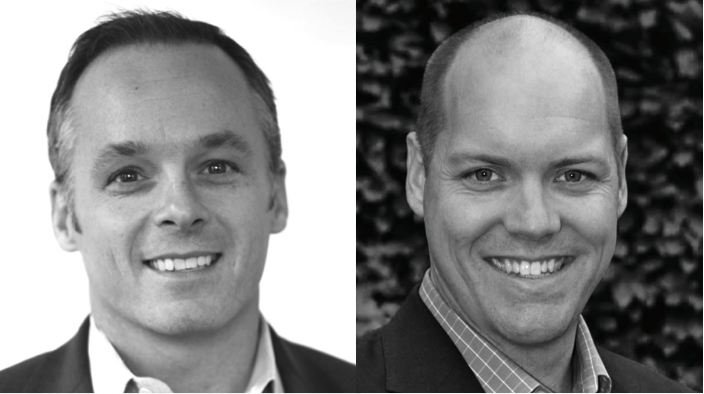 Family Office Insights sits down with Colin Rowan and Ian Lombard, Managing Partners of Casparian Capital, to discuss their portfolio of real asset investments through the acquisition of multiple vineyards and private label wine production company in the Pacific Northwest. The Casparian Fund I is structured with an 8% preferred return and is targeting annual cash-on-cash return in excess of 9% over the first ten years and an IRR to LPs in excess of 13%, net of fees and expenses. Tell us about your background and your company, Casparian Capital. After graduating from Princeton, my career path focused on finance and general management. I graduated from Harvard Business school and held jobs in investment banking, private equity and strategic development, but ultimately I gravitated towards real estate finance and investing. As a founder and Principal at United Fund Advisors where I worked for 13 years, I financed over $1.5 billion worth of real estate development projects. Through that experience I developed a passion for investing in real estate. A few years ago I was looking for my next entrepreneurial opportunity and I had a chance to sell my stake in United Fund Advisors. I reconnected with Ian, who I attended Princeton with. We began discussing the vision of developing and managing vineyards, which from an economic standpoint was very similar to real estate, albeit with less volatility. Ian presented a vision for what has become Casparian and I knew I had to jump in. I grew up in rural Oregon and was exposed to ranching and farming on both sides of my family. I went to Princeton for my BA in Molecular Biology and met Colin there. Upon graduation, I moved to San Francisco and worked in consumer products, where I grew a small business to over $100 million in revenue. After receiving my MBA from University of Pennsylvania, I built a fintech startup with some friends, where we became one of the largest volume trading platforms in Asia. I’ve always loved building companies, so when I had the opportunity to leave that start-up and try something new, I moved back to Oregon to raise my family and look to my home state for new business opportunities. Leveraging a lifelong interest and family background in agriculture, I looked at a number of crops that had inherent strengths or unique value in the Pacific Northwest. Through that process I was struck by the compelling economics of vineyards and the arbitrage opportunity that existed between land values and crop pricing. In rough terms, I have been buying vineyard land at $60,000-$65,000 per acre, and signing long term contracts that generate a net profit of $5,500 - $6,000 per acre – generating compelling income even without the appreciation of underlying land value. Furthermore, by spending the last few years establishing a reputation as a significant local purchaser, who is also a good steward of the land, we have developed a strong pipeline of unique properties. The explosion of our pipeline, the scalability of our efforts and our impending purchase of NW Wine Company and their 500 acres of planted vineyards, led my partner and I to join with Colin in the launch of Casparian Capital. Casparian Capital got its name from the casparian strip, a band of cell wall material in plants that regulates mineral and water flow as the gatekeeper of healthy growth. It’s designed to keep the good stuff in and the bad stuff out. The mission of Casparian Fund I is to deliver superior risk-adjusted returns to investors by focusing on the aggregating high-quality vineyards in the Pacific Northwest under common management. Our investment will have strong long-term cash flows, with the potential for significant upside from land appreciation and with the downside protection afforded by the land-based real asset base that will make up our portfolio. From a marketplace perspective, who are Casparian Capital’s target customers? From a marketplace perspective, there is a generational shift that’s going on in Oregon. In many cases the younger generations are not looking to take over the family business, driving the older generation to look toward exit options. The average size of vineyards in Oregon is 27,000 acres versus 90,000+ acres in Napa and Sonoma. At 27,000 it is hard to make the economics work – the scale just isn’t there. These families with small plots are often not looking for out-of-state wineries and investors to take over their land – even if those potential buyers would put the time in to underwrite these relatively small vineyards. They want to sell to folks that are neighbors and partners and who will be good stewards of their land and to the state of Oregon. Being physically present here really counts to these sellers because of the provincial nature of Oregonians, in general, and in the AG community specifically. Furthermore, in many cases sellers live on their land and outside buyers generally don’t want to be landlords, but we will be happy to let the residents stay on as long as they want to stay in their home. To underscore the importance of our local presence, in two of the acquisitions we have made thus far we were the lowest bidder by 12-17% and were still able to close. In these cases, the higher bidders were all out-of-state. We also have 220 acres of premium-level properties in our pipeline that are not on the market because sellers call us directly. They know that with us they don’t have to worry about an outsider compromising their hard work, failing to carry out their organic farming practices or not being a supportive player in what is a very close-knit regional industry. Timing is a challenge because the relatively low vineyard values in the Pacific Northwest won’t last and the opportunity for aggregating fragmented vineyard land will diminish as transaction volume increases. We believe land values will rise dramatically in the next ten years so we need to move quickly. It is important for us to raise capital and deploy the funds in the next 12-24 months. When you’re getting into the real estate farming business, what do you do with your grapes? The NW Wine Company acquisition will help to close that circle. NW Wine is a private label company and production facility with strong cash flow, which is a critical part of the equation. Each year, their production uses grapes from 500 acres of their own land and then they outsource an additional 500 acres. This gives us the opportunity to acquire an additional 500 acres with the knowledge that we have an immediate customer for the crops. 1. We have strong local ties and a physical presence on our vineyards in Oregon. There are no locally based investors with a dedicated focus on the vineyard space. 2. The average Oregon vineyard is 27 acres. The cost of farming and maintaining the land becomes a problem when the farms are very small. So larger outside investors don’t have the time to spend chasing 27 or even 50 acres of land when they have opportunities to acquire larger parcels elsewhere. Vineyard development and farming is an intensive exercise and requires a team that is experienced and readily available - we have team. Outside investors don’t have those teams and are looking for fully vineyards that are ready to produce at full capacity on a large scale. A lot of time and effort goes into chasing scale, so big wineries are forced to sacrifice quality in pursuit of volume. 3. Our diligence process is in-depth, can be conducted as soon as we identify a potential property and we can structure a purchase offer very quickly. One of the first steps we take when considering an acquisition is to conduct a detailed analysis of the target property with electromagnetic scanning, heat maps, and rock and soil tests by geologists to develop a clear and detailed map of the land. Using this analysis we can assess the potential for growing premium versus production grapes on a block-by-block basis. We can very quickly arrive at a comprehensive overview of the production value of the land and quickly structure an appropriate offer if we decide it is a piece of property that we want to acquire. The wine industry is already seeing a strong shift to Burgundy/Pinot, with consumers today drinking approximately 6 times more Pinot today than they were 4 years ago. Furthermore, the macro trends in Burgundy over the last few years, the shift in cuisine to a more farm-to-table pallet and the trends in Millennial wine consumption, strongly indicate we are in a long-term growth pattern. 1. We have been and will continue to be for some period of time, the only dedicated, local source of vineyard acquisition capital. This provides a meaningful outlet for numerous local landowners who desire an exit opportunity but have been reluctant to sell into a situation where they are concerned about how future stewardship will be handled. 2. The scale that Casparian will have on day one will make it one of the largest owners of vineyard land in the Willamette Valley, creating a scope and scale that allows us to maintain premium farming and production practices while aggressively controlling costs. For example, while we dry farm these vineyards, our overall scale allows us to efficiently plan and implement holding ponds and other water strategies that hedge our business against future water risks. 3. Casparian’s pipeline of acquisitions, when combined with existing holdings, will result in ownership of 10%+ of all available premium land in the primary Oregon AVAs. This concentration will enable Casparian to strongly influence farming and labor practices, vineyard branding efforts and fruit pricing. We are seeking to raise $75M from a limited number of LPs with a $1.5M minimum and no maximum. We are aiming for the first close at $30M and the second close to get us to $75M, but time is of the essence. This is a relatively small fund for institutional investors. Our ideal investors are high net worth individuals and family offices that are looking for long-term, predictable cash flows with significant upside potential. We will be delivering cash flow in year one with average cash-on-cash returns for 10 years of 9% and we are targeting an IRR of 13.5% for LPs, net of fees and expenses. It is important to note that that IRR target is based on annual appreciation of 4% in underlying value of the vineyard land. We believe actual growth will be well in excess of that underwriting target. Our mission is to deliver superior risk-adjusted returns to investors and support the growth of the pacific NW vineyard industry with a common mission and structure to provide the highest quality grade premium grapes to the marketplace. We are focused on getting to the first close, closing our NW Wine acquisition and one or two other existing pipeline deals, and continuing our capital raising efforts to close out the fund. Pipeline development is on-going. There is a lot of relationship building and in-person meetings with farmers and brokers so that we can get out in front of quality acquisitions and shake loose great properties that aren’t publicly listed. In addition to raising the capital and executing on our business model, we are focused on engaging with the industry at a deeper level. Through the NW Wine Company acquisition, we are discussing labor management practices with the current executives. With the new focus and policies on immigration and labor in our country, we are dedicated to integrating both the social and environmental aspects into our business. That will be good for the industry, the people that support it and, ultimately, our business. Colin Rowan’s career has spanned from investment banking and private equity to real estate fund management. He has lived in Oregon for 15 years and has financed over $300 million worth of real estate projects in both urban and rural communities throughout Oregon. After graduating from Princeton University with a BA, Colin began his career as a corporate finance analyst with Alex. Brown & Sons and was a Vice President with a $100 million private equity fund. Colin then earned his MBA from Harvard Business School and spent two years in strategic planning for a Fortune 500 medical device manufacturer. Following his entrepreneurial instinct, Colin then founded a start-up fund manager that was initially focused on financing real estate development projects in and around Portland, OR. In the 12 years that Colin was a partner at United Fund Advisors, the company expanded nationally and built a portfolio of over $2 billion worth of financing for a diverse array of projects. This experience gave Colin experience in sourcing, underwriting and managing real estate projects and fed his entrepreneurial spirit – he built United Fund Advisors from a start-up to a company with assets under management in excess of $2 billion in 10 years. United Fund Advisors created tremendous value for its partners and employees and was built organically, with no outside financing. After Colin sold his interest in United Fund Advisors, he was looking for his next entrepreneurial endeavor, with a focus on opportunities in real estate. 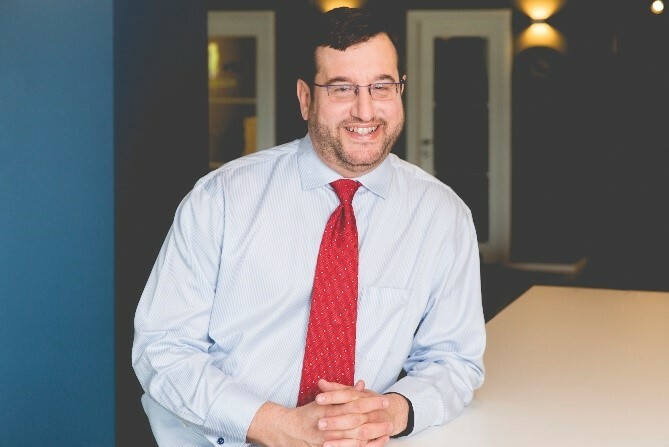 He and Ian Lombard reconnected, developed an investment and management model to scale vineyard investments in the Pacific Northwest and Casparian Capital Management was born. For more information, please reach out to Colin at colin@caspariancapital.com. Ian Lombard is a fifth generation Oregonian with roots in agriculture on both sides of his family. He grew up in a rural part of the state and then went to Princeton University where he received a degree in Molecular Biology and played varsity football. This was followed by a career in consumer products, eventually leading the rapid growth of a consumer business owned by Fortune Brands. Ian received an MBA from Wharton and then served as the COO of a startup fintech company that grew to become one of the largest volume trading platforms in Asia. After returning to Oregon to raise his family, Ian eventually partnered with Rick Miller in the acquisition and development of a diverse portfolio of vineyard and wine related assets. Ian leveraged his connections in agriculture and the desire to acquire and develop a portfolio of stable, cash flowing assets with the potential for significant long-term appreciation. Ian’s multi-year focus on acquiring and managing vineyard land has confirmed that there is substantial value to be captured in Pacific Northwest vineyard land when purchased at scale and focused on premium grape production. As Ian’s activity of the past few years has ballooned into a substantially larger pipeline of related vineyard assets, Ian reconnected with Colin Rowan and found a powerful and complimentary additional partner for the development and launch of Casparian Capital Management. For more information, please reach out to Ian at ian@caspariancapital.com.